After three years, then, it looks as if the Leigh Genesis experiment may be coming to an end. The club had been rebranded during the summer of 2008, but it now looks as if the club is to cease playing after three years of chaos which followed what was supposed to be a brave new world in the history of a club which had, through several different names, been playing since 1896. The club finished last season at the bottom of Division One North of the Evostik League and was due to start next season in the Premier Division of the North-West Counties League, but difficulties at their temporary home at the home of Atherton Laburnum Rovers meant that yesterday, the 31st of May, the club confirmed that it could no longer continue as a semi-professional club. How, though, did it come to this? Leigh RMI (RMI stands for “Railway Mechanics Institute”) were initially founded in 1896, seven miles away from Leigh in the Bolton suburb of Horwich. Horwich RMI were a pretty run of the mill non-league club for the majority of their existence, moving slowly up the non-league rankings whilst playing their home matches at the sloping Grundy Hill. By 1995, though, they had decided that they had out-grown their ground, and took up the offer to move seven miles away to Leigh, change their name from Horwich RMI to Leigh RMI, and groundshare at Hilton Park, the home of the Leigh Centurions Rugby League club. They did have brief periods of success as Leigh RMI. They were promoted into the Conference in 2000, and stayed there until 2005, before being relegated back from whence they came with a grand points total of eighteen for the season. After this, the club’s behaviour became more erratic. Within days of FC United of Manchester forming in 2005, Leigh were on the phone to them, offering to merge clubs. The offer was not taken up. “It would seem hypocritical to some degree, in light of the Glazer events, if a team came into being by taking over another club”, said the chair of the supporters club at the time. In 2007, they were understood one of the clubs being closely considered by the MyFootballClub group, before that little plan decided to head towards Ebbsfleet instead. In was in June of 2008, though, that Leigh Genesis was born. “Recently appointed, visionary Chairman Dominic Speakman, 32, explains the thought process behind this radical move to give the club an all-embracing brand for the future”, it’ read. 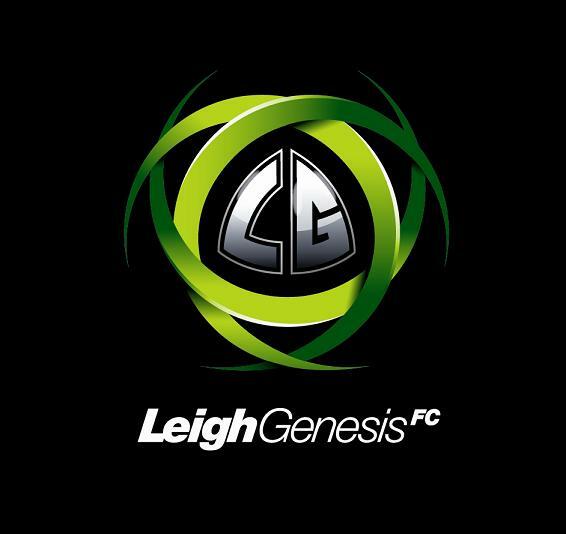 The club was moving to the 11,000 capacity Leigh Sports Village, turning professional, changing its name to Leigh Genesis (to signal “a new beginning” for the club) and adopting a new badge, which resembled the marketing logo for a games console. Problems began almost immediately. The club had to start the season at Chorley’s Victory Park after problems with the pitch at their former home Hilton Park left the pitch practically unplayable. Average home crowds fell to 150, and disputes between the builders, developers and the council meant that more or less no work was been carried out at Leigh Sports Village for much of the first half of the season, with the club evetually being told that the absolute earliest date that they would be able to play their first match there would be in the middle of December, and that not even this was definite. With practically no revenue coming into the club, such a delay was calamitous, and the final straw came towards the end of October 2006, with a visit from the council’s health and safety committee. They confirmed that, with a 10,000 capacity stadium requiring forty-five stewards to keep it operational, the cost of operating the stadium would be £3,000 per match. Even if moving there doubled home crowds, their total gate receipts, on a match-by-match basis, wouldn’t even cover the cost of managing the new stadium on match days. The players were informed that they were all released, although some continued to play on free of charge. The cost of the “re-branding” exercise during the summer was very high, and the club eschewed valuable shirt sponsorship money in favour of plastering their new name across the fronts of their shirts instead. They took on a full-time manager and players on large wages without, it would seem, any substantial money coming into the club. As he left the club in tatters, the best that Speakman could manage on the club’s forum today was to say that, “What I did was give the club another nine months that it otherwise wouldn’t have had”. They finally moved into the Leigh Sports Village in March 2009 and Garry Flitcroft took over as the club’s manager after another relegation. At the end of the 2009/10 season, the club finished just outside the play-offs in Division One North, but crowds didn’t improve and, at the end of last season they left, to take up a new ground share at Atherton. Another relegation followed at the end of this season. The club’s official statement on the subject of their resignation from semi-professional football makes reference to a £400,000 Football Foundation grant that was turned down by the stadium operators at Leigh Sports Village because a ten year lease could not be agreed for the club. This, however, was only a part of the problem with Leigh Genesis. Some have said that the club never really survived the move from Horwich to Leigh. The distance between the two towns might only have been seven miles, but they are very much separate towns and Leigh is a Rugby League town and there has been no significant indication that the football club ever seriously threatened this. Meanwhile, back in Horwich, a new Horwich RMI, which had been formed after the old one left, played in exile before moving back home in 2009. They currently play in Division One of the Lancashire Amateur League. New clubs can be formed and be successful. There is no question about that. FC United of Manchester, the club that Leigh attempted briefly to court, continues to flourish in its own way, and there have been others since. Perhaps, though, for now, this particular club should stand tall as an example that there is nothing wrong with the “brand” of football clubs as they are. Build one that is a part of its community, give people something that they can call a home for a couple of hours every week or two and it will find its place. Leigh Genesis never found its place, metaphorically or literally, and no talk of “new beginnings” could ever properly mask that. 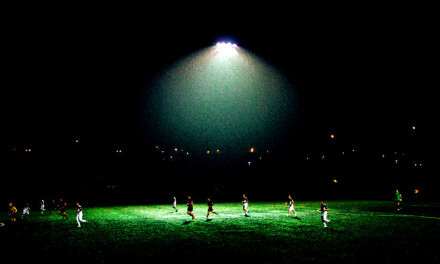 If the will is there, what is left of the Leigh Genesis support may be able to rebuild a club there – the youth programme and junior teams that the club ran are understood to have been highly thought of – and perhaps by dropping down to amateur football, getting back to proper basics and effectively starting again, what they had can be recaptured. For now, though, the old line of unbroken things not needing fixing seems entirely appropriate, and Leigh Genesis was tinkered with too many times. Wow, this takes me back to a post i wrote back in 2008. Back then, most seemed optimistic about Genesis. So much so that my post was quite heavily criticised. Sad to see the demise of any club – even the original Franchise FC. devasted to here this for those in still involved in the club. Remember watching Leigh winning the unibond at a canter in 2000 under Steve Waywell (this was miles better than holding Keegans Fulham at Craven Cottage). They played terrific football that season but crowds never peaked past 400. First year in the conference Waywell reverted to what can only be described as 8-1-1 with Steve Jones (who went on the play for Crewe and N.Ireland) winning the penalties for Tony Black to score them. Leigh finished 5th the year before the play offs were introduced and if there had been play offs they probably would have been promoted. Even then crowds were only boosted by the away supporters that came to watch their team. The big problem was that the people of Leigh didn’t want them and didn’t want to watch them, one time they played one after an other, the football fans didn’t stay to watch the rugby and the rugby fans didn’t turn up early to watch the football, and when the LSV was built Leigh council didn’t want them. Most of my favourite non-league memories came at Hilton Park. Its a shame that the club has finally fallen. I spent alot of time at grundy hill and hilton park during my early years. I think its easy to forget that Horwich would not have survived either without the move. The ground wouldnt allow them to play at a higher level, and although many say otherwise support was dwindling. The move to leigh was a must and was done with heavy hearts. Crowd sizes aside, the club prospered on the field and enjoyed some great successes. This was done with the help of realistic financial outlooks. It made the success even sweeter. Steve Waywell worked miricles with what at times can only be described as threadbare resources. Shrewd purchases such as Steve Jones again kept the club running. Its wasnt nice to see the club rebranded. I was scepticle of Speakmans dedication to the club and why someone would want to pour money into a struggling non league side. Early signs were promising though. The people of Leigh are league fans and most chose to ignore the football club, bar a few. Its a shame some of them forget that Horwich RMI werent the only ones who needed money at the time the clubs relationship began. Even though its a shame the club folded, i cant help but sit back and look at how the changes under speakman distance not only myself but many Leigh fans.